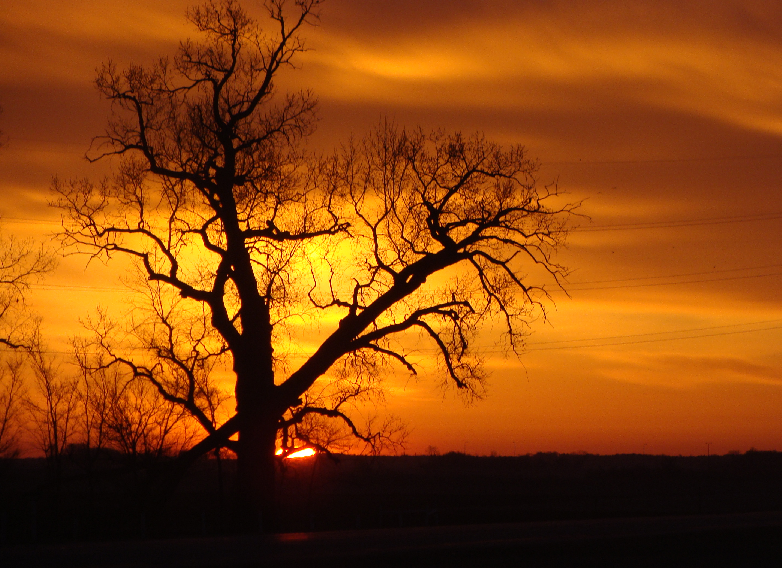 Dan – So, you guessed it, yet another OSer . . . SD; 52/49; 1/10; 5; 157.5. 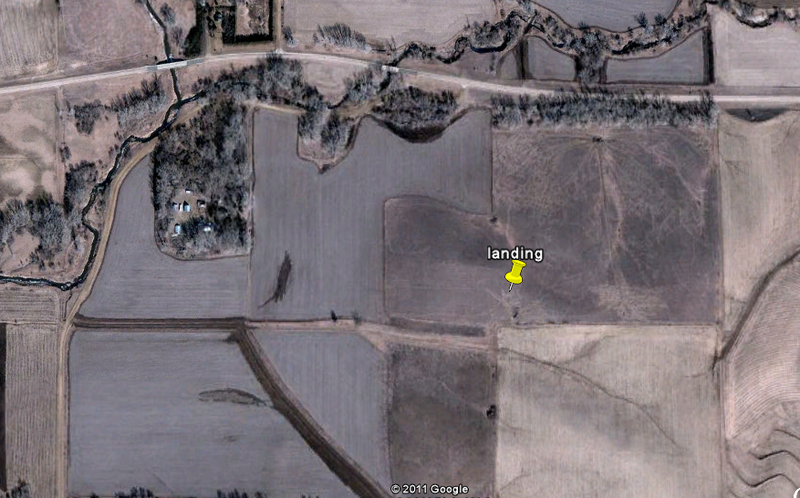 I have roughly a 50-50 chance of landing in an OSer. Why am I 1/10? Only the LG knows . 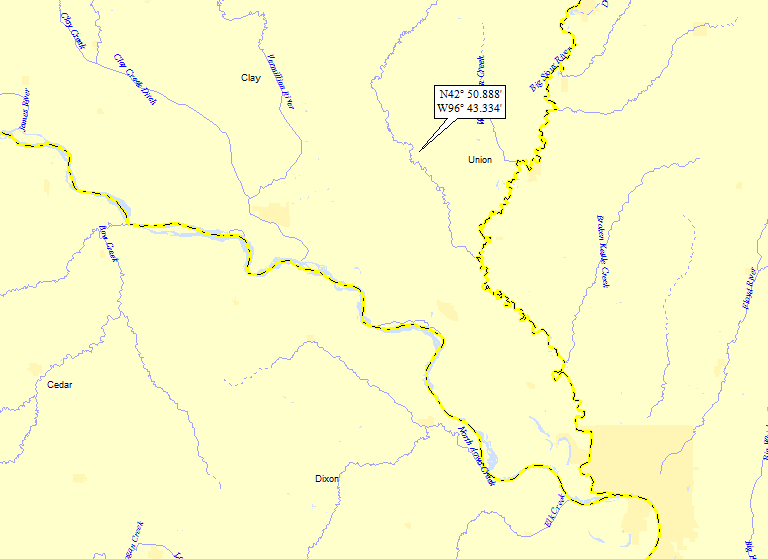 . .
You can see a creek to the north, which is an un-named tributary to Brule Ck. 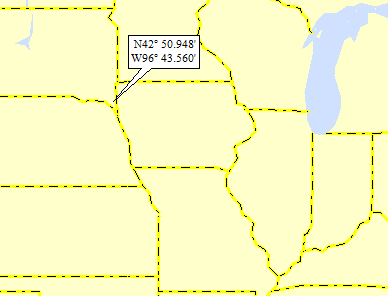 It flows west to Brule Ck, which heads south and then east and flows into the Big Sioux R (4th hit); on to (of course), the Missouri (362nd hit); on to (of course) the MM (771st hit). It’s a place where you can come as you are to share a meal and meet friends or make new. 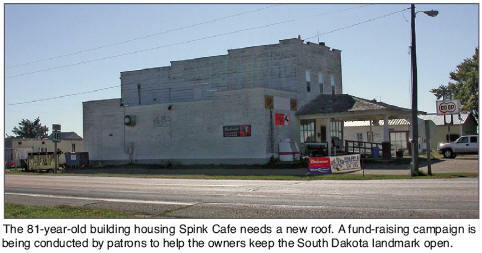 “It’s just a relaxed place,” said Spink Cafe co-owner Diane Otten of Spink, S.D. 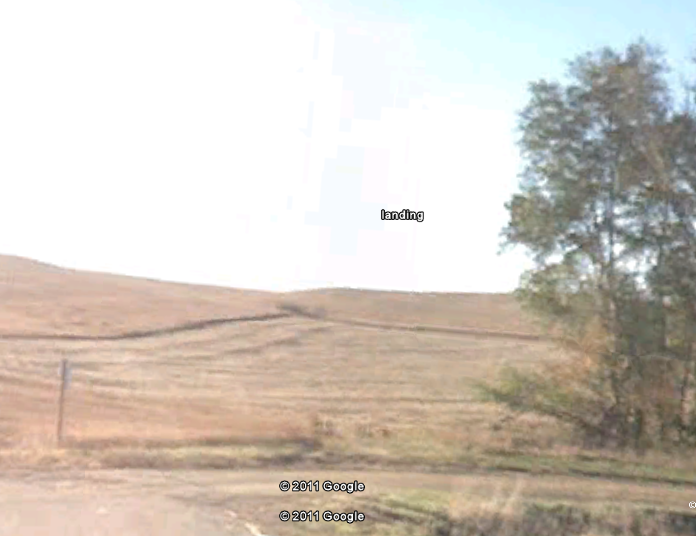 “People can come in from the field, stop here and have supper. They don’t have to worry that they have their farm clothes on.” “Or they can come in all dressed up,” she said. “It’s just a Mom and Pop place.” Diane and her husband, John “Junior” Otten have owned the South Dakota historical landmark since 1997. 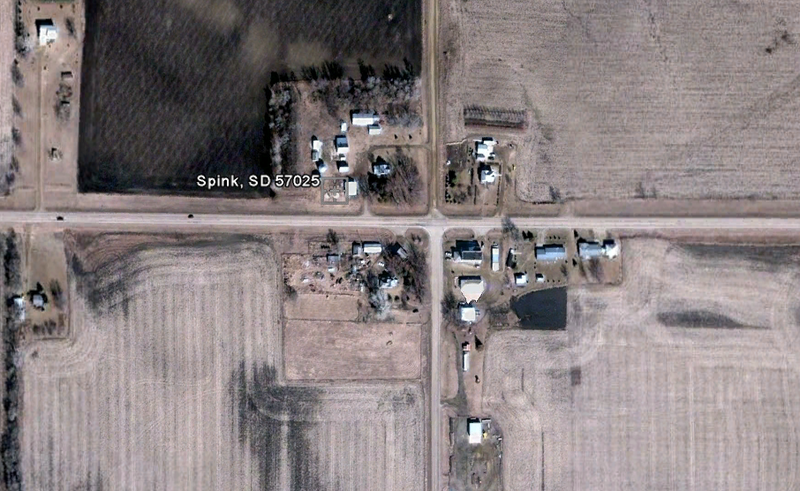 “Spink was going to be a big town,” said CarterTwedt whose ancestors settled the town. 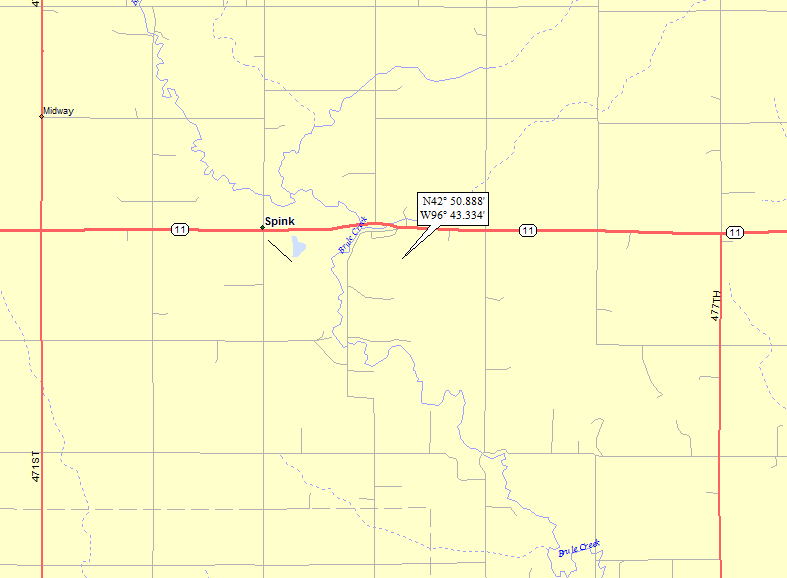 The railroad was to go through Spink but then it went through Elk Point.” Therefore, the largest population Spink has ever had is between 30 and 40. Now, the population is eight people – four to the west and four to the east of the cafe. I love that the Spinkburger is the best in town. In a town of eight people and (of course) only one restaurant, it’s hard to argue the point! Also, I looked long and hard to find who the origin of the name “Spink.” The info is probably out there somewhere, but I have only so much time to search . . .